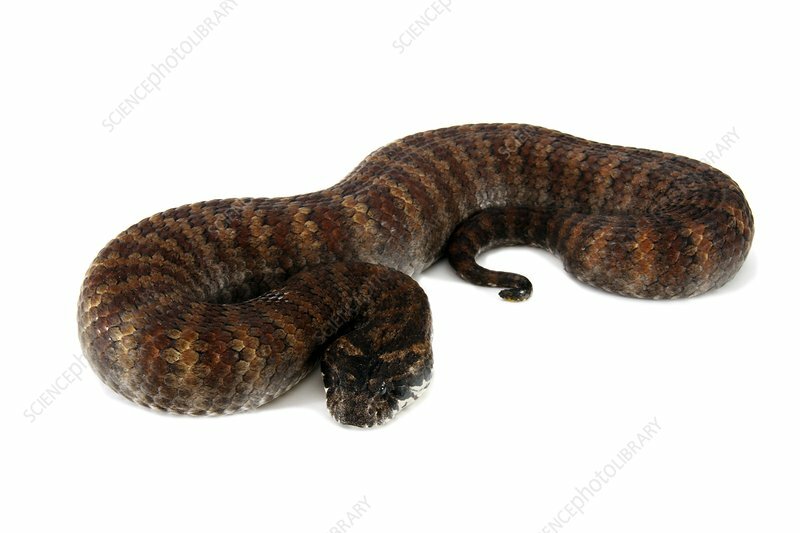 Common death adder (Acanthophis antarcticus). This is one of the most venomous land snakes in the world. Its venom causes paralysis and death. It delivers the fastest venom strike of all Australian snakes. It has a broad, flattened, triangular head, and a thick body. It is typically found in eastern and southern Australia. The death adder is a master of camouflage, and can blend in perfectly with woodland debris and grassland.